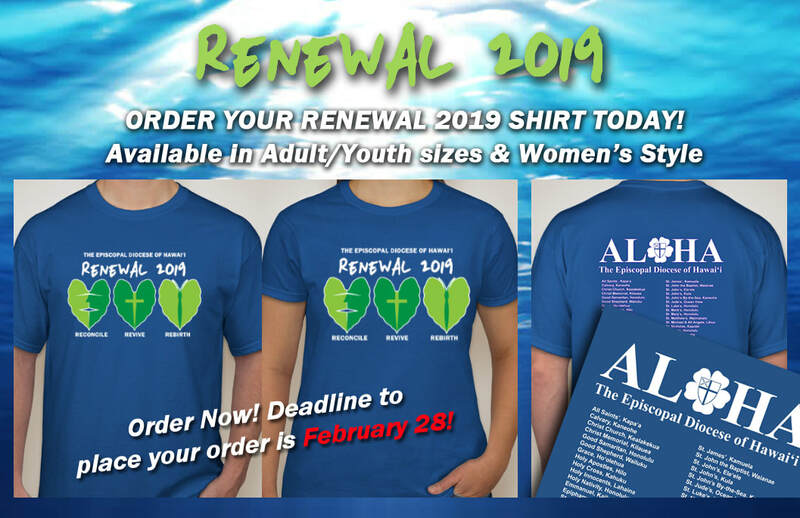 WE ARE PLEASED TO OFFER RENEWAL 2019 T-SHIRTS! The shirts are 100% cotton, royal blue, available in adult and youth sizes, and also a women's style. The shirt features a 3-color print of the RENEWAL 2019 taro logo on the front, and a listing of our churches on the back. The cost is only $16! You may choose to pick up your shirt at the RENEWAL 2019 conference, or for an added fee, have it shipped directly to you. Deadline to place your order is February 28, 2019, and those selecting direct shipping should receive it by March 18. We are also encouraging attendees that have a red palaka shirt (that made its debut at the Annual Meeting), to wear it during the weekend's event, especially during the Presiding Bishop's Keynote Address on Saturday! 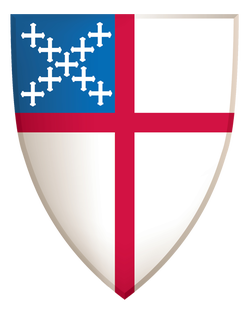 So get ready for a weekend of reconciliation, inspiration and revitalization, and greet our Presiding Bishop with a sea of red and blue, the colors of our Episcopal shield! Click on the link below to order your shirt today!